The growth was boosted by offshore funds which are typically used by institutional investors. Singapore’s money market funds ballooned 40% for the past two years to $2.6b as of end December 2018, easily surpassing the global growth rate of 18%, Fitch Ratings revealed. However, the total AUM in Singapore still pales in comparison to figures in the US (US$2.9t) and China (US$1.2t). 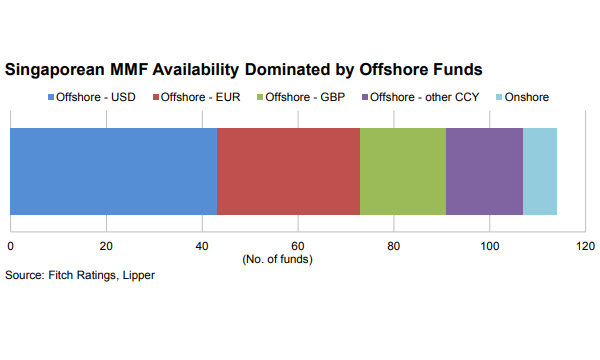 According to a report, MMFs available in Singapore are primarily offshore funds, which are typically used by institutional investors. European Undertakings for Collective Investment in Transferable Securities (UCITS) funds are readily available (i.e. notified for sale) in Singapore and MMFs are no exception. Fitch Ratings analyst Li Huang noted that there were over 50 European short-term MMFs – in various currencies – notified for sale in Singapore at end-December 2018. “As a consequence, Singapore-based investors will be affected by the European reforms,” she said. The European reforms will lead to constant net asset value funds disappearing in favour of new fund types, notably low volatility net asset value funds, and the introduction of new features such as liquidity fees and redemption gates specific to MMFs, the analyst said. There were only seven MMFs domiciled in Singapore at end-2018, according to Fitch, and most of them are managed by local asset managers and fall into the “standard” MMF categorisation under applicable Singaporean regulation. “As a result, they typically have a broader risk appetite than MMFs regulated under the SEC’s 2a-7 rule in the US and MMFs classified as ‘short-term’ MMFs by the European Securities and Markets Authority (ESMA) in Europe,” Huang said. The analyst noted that the Singaporean funds typically settle at T+1 like the European “standard” funds. Conversely, institutional investor focused funds in Europe and the US typically settle at T+0. “Similar to European and US funds, Singaporean MMFs are typically invested in higher-quality money market securities with portfolio maturities laddered to control interest-rate risk sensitivity and maintain relatively high levels of liquidity,” she added. Fitch Ratings also found that Singaporean MMFs are focused on retail investors, as most of them do not have institutional share classes (classes with high minimum initial investment amounts). The funds have also not been successful in disintermediating banks in any “material way” to date. 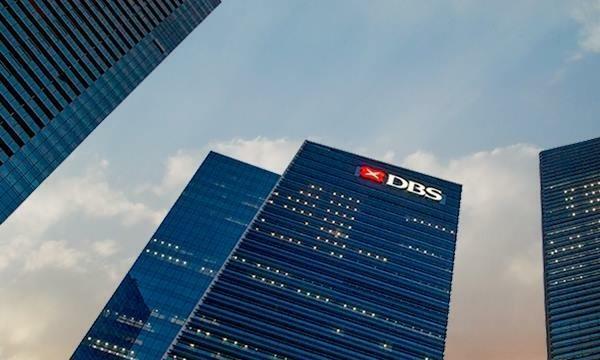 Huang noted that Singapore has one of the highest bank deposit to GDP ratios in the world (at around 122% as of end-2016 according to World Bank data), compared with a ratio of around 80% in the US where MMFs (both retail and institutional) are more prevalent. “The only fund Fitch has identified that is denominated in Singapore dollars with institutional share classes was an offshore (Luxembourg) fund (JPMorgan’s SGD Liquidity LVNAV Fund, which had AUM of $639m as of end-December 2018) which was not notified for sale to retail investors in Singapore at end-2018. There are also some euro or US dollar funds that are available for sale in Singapore through Singapore dollar-hedged share classes,” Huang said.